Los Angeles, CA – As word began to circulate about William Shatner’s newest musical project, the prog rock concept album Ponder The Mystery, critics and fans quickly realized it was a match made, if not in Heaven, then in the most glorious reaches of the galaxy. Shatner is after all an enormously popular and celebrated icon of science fiction fantasy, and no musical genre is as invested in, devoted to or driven by fantasy and the imaginative as progressive rock. And though Mr. Shatner is no stranger to the musical world, what sets this effort apart from previous endeavors is the fact that he co-wrote the album, penning a set of intensely personal lyrics for producer/multi-instrumentalist Billy Sherwood (of the prog rock institution Yes) to compose around. And now, after months of puzzled rumors, probing questions and ponderous speculation, the album is finally ready to be embraced by the general public; it will be released on CD, vinyl and digital formats October 8, 2013. 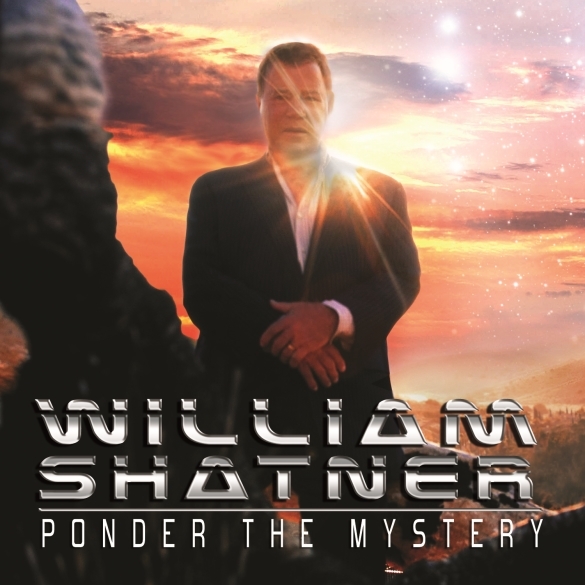 William Shatner will be performing his new record Ponder the Mystery in its entirety accompanied by the prog band CIRCA: featuring Billy Sherwood and Tony Kaye, famed keyboardist also known for his work with YES. This entry was posted on Monday, September 30th, 2013 at 20:46	and posted in Press Release, William Shatner. You can follow any responses to this entry through the RSS 2.0 feed.